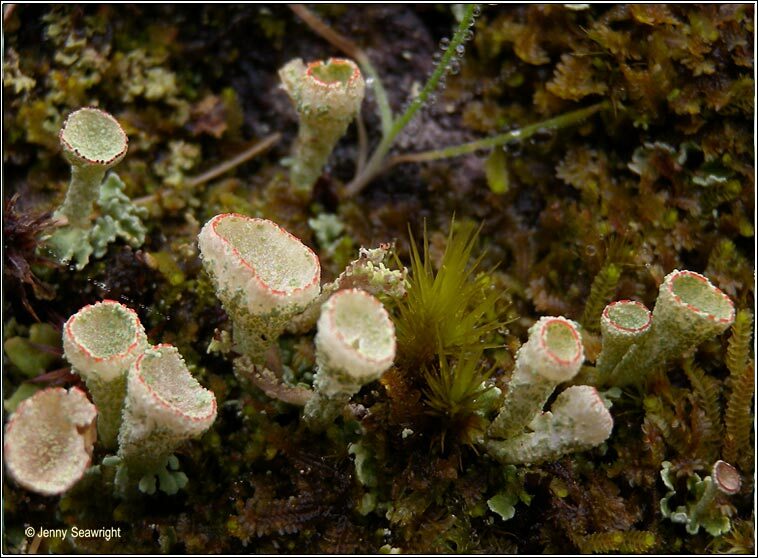 Photos: Among moss on acidic rock. Ballingeary, Cork, SW Ireland. Primary squamules yellowish-green. 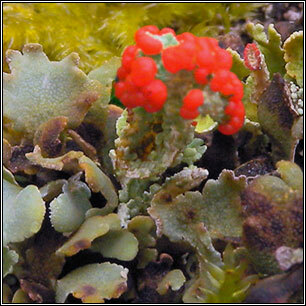 Short, stout, often deformed podetia covered with small squamules or granules. 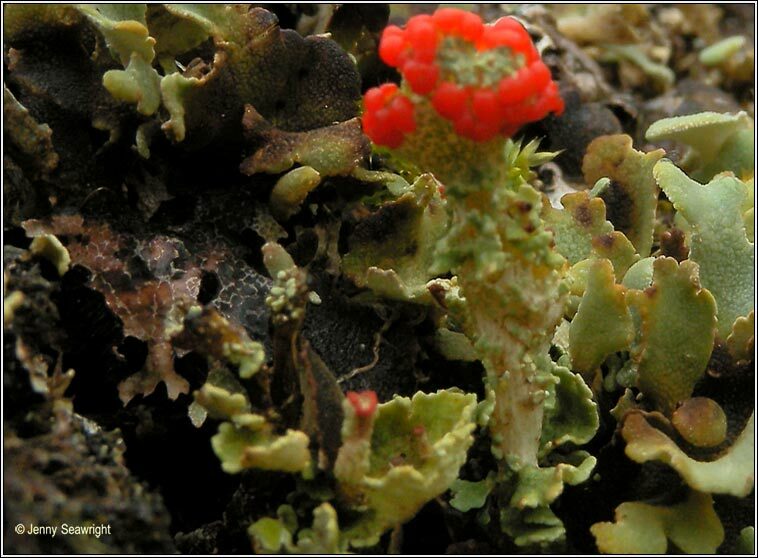 Wide cups with bright red pycnidia or apothecia that can cover cup. Upland regions on stumps, acidic soils and heathy moorland.